Drum Corps International’s Open Class is growing again. After seven new and re-emerging groups took the field last year, another three will be taking part in DCI Tour events in 2015: Southwind from Mobile, Alabama, Heat Wave from Inverness, Florida, and River City Rhythm from Anoka, Minnesota. 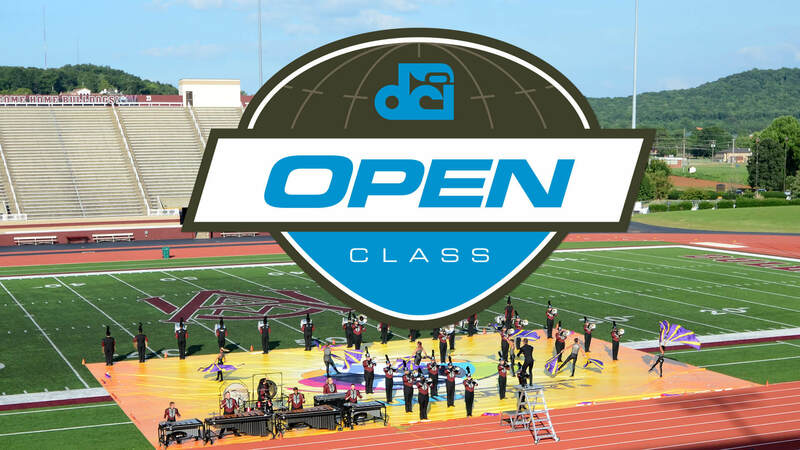 In addition to strong support from Drum Corps International and the participating Open Class corps, Eddleman also credits DCI’s growing SoundSport and DrumLine Battle programs as important stepping stones in the development and future success of new Open Class groups. 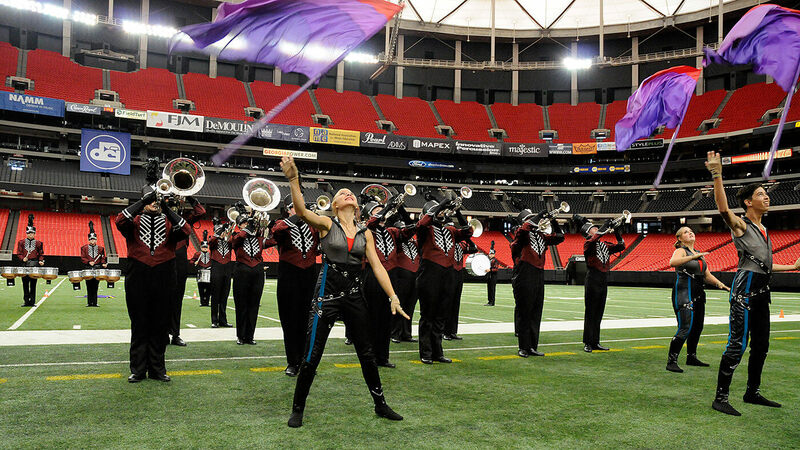 Southwind fielded a 50-member SoundSport team in 2014, performing here at the Atlanta Georgia Dome. Southwind is a familiar name to many drum corps fans. Originally formed in 1980, the group competed in the World Class (then Division I), then followed an on-and-off again path before going on hiatus in 2007. In 2011, the Southwind Alumni Association decided to revive the group while creating a more stable platform for its growth. After devoting a few years to securing sponsors, recruiting members, and setting up its administration, the organization fielded a 50-member SoundSport team in 2014 in preparation for re-entering DCI competition as an Open Class ensemble. Southwind plans to attend a handful of DCI Tour events in 2015 including events in Mississippi, Alabama and Georgia. 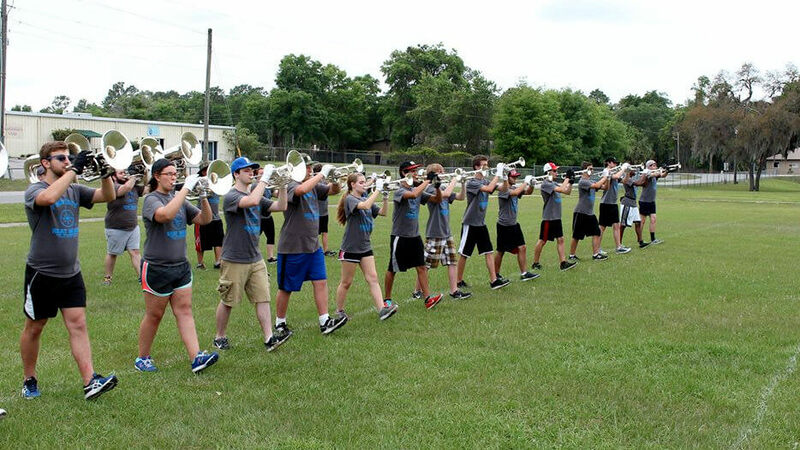 Members of Heat Wave's horn line spent time outside preparing for their 2015 debut during a recent rehearsal in Florida. Formed just last year, Heat Wave has less history of its own to fall back on, but the corps will be the first DCI group from the Sunshine State poised to take the field since Teal Sound left the scene in 2012. “Our administration and staff has been working hard to bring a DCI corps back to Florida,” corps director Jon Otero says. The organization currently has a cadet program for members ages 12 to 15 to go along with a more advanced corps for members between 16 and 21, which is expected to take part in two DCI events this summer in Alabama and Georgia. “We would also like to eventually add other performing ensembles such as indoor percussion and indoor guard to the Heat Wave family in the future,” Otero says. 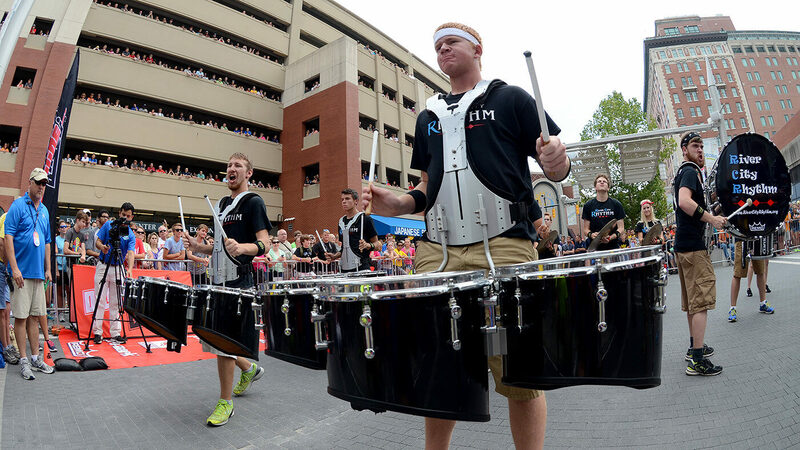 River City Rhythm attended the DrumLine Battle event in Indy hosted as part of the 2014 DCI World Championships. For River City Rhythm, becoming a DCI corps has been a long-term goal. The group began in 2009 with an independent indoor percussion ensemble whose success on the floor—Class A finalists 2010-11, Open Class finalists 2012-15—led to the formation of a WGI World Class color guard in 2014. In what Eddleman describes as “wise planning,” River City Rhythm—which plans to be at several events in the upper Midwest this summer—is keeping the group small enough to fit in one bus for its inaugural drum corps season. But with Minnesota’s strong tradition in marching band and the nearest of DCI's World and Open Class corps hundreds of miles away, director Beau Hansen sees plenty of room to build.